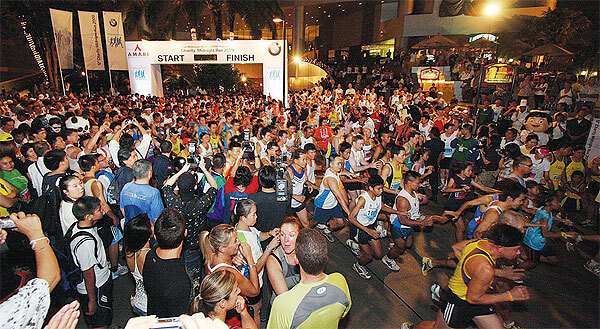 It’s 9 weeks today until the Bangkok Midnight Run at the Amari Hotel in Pratunam, Bangkok. The course is a 12km loop around the streets of central Bangkok, running along Petchburi road and looping back towards Asoke, Sukhumvit and then back through Pratunam to the start. There is also a 6km option, and as the name suggests they both kick off at midnight on Saturday 8th October 2011 from Amari. Given the times that me and my friends have recorded in the past few years I’m pretty sure it’s actually closer to 11km than 12km, but I’m not one to complain about a kilometre less when I’m running around in the middle of the night. I’ve found the easiest way to register for the Bangkok Midnight Run has been to actually go to the Amari Hotel itself. You can do this anytime from now until the day of the race. It’s all done in the name of charidee with two very worthy causes – Baan Gerda, which cares for HIV & AIDS orphans in Lopburi, and Chalerm Prakiat School which is an education centre for children who have lost their parents to HIV/AIDS. The race costs 300 baht and all proceeds go to the above charities. 2.6 million baht was raised last year which is an amazing effort. You get a racing vest and various other freebies along the way. 9 weeks is plenty of time to train for the race, even if you feel your fitness levels are low. I’ve devised an 8-week running plan for you to help prepare so there are no excuses! CT stands for Cross Trainer, but can also be bike, rowing machine or swimming. On CT days take it nice and easy but if you’re feeling sore or tired then make it a rest day. On rest days try to squeeze in a short pulse raiser (for example, 5 minutes on the bike) followed by stretching. This is important to aid recovery and prevent injury and tightness in the muscles. You don’t have to stick by the program to the day. Tuesdays activites can be switched to Monday or Wednesday, for example. And don’t get disheartened if you miss a few sessions – just focus on starting up again and getting back on track! The main running day is Saturday so you may have to tinker with your social schedule a little! Complete the ‘runs’ as fast as you can, record your time and see how this pace matches up with your target time for the final race. If by the 5th or 6th week you’re feeling particularly good one day, feel free to extend one of your runs beyond the scheduled run, and conversely if you’re feeling terrible another day just stop and have a good stretch – it does’t have to be followed to the letter, it’s just a good guide. Easy runs are on Sundays and are time-based – don’t worry so much about pace, just get your legs used to running for that amount of time. Contact me if you would like to discuss your training for this race or your fitness goals. Saturday: RACE DAY – good luck! If you would like any further help completing the Amari Bangkok Midnight Run in your target time, or if you have any other running or fitness goals you would like to discuss, please feel free to contact me. We’ll be looking at some nutrition tips between now and the race. Enjoy the training, and good luck! 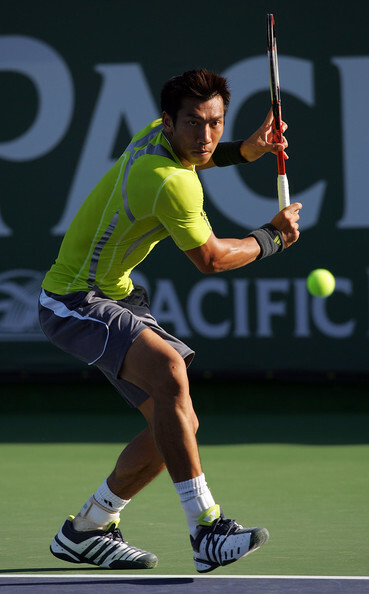 Tennis in Thailand has seen a big rise in popularity since Paradorn Srichiphan hit the ATP world top 10 about 10 years ago. 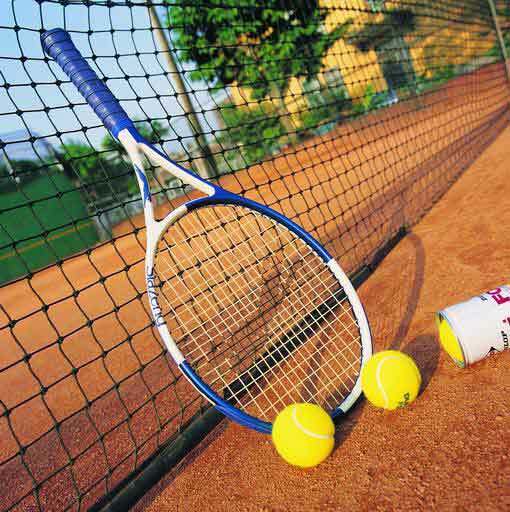 There are now plenty of tennis courts and tennis clubs in Bangkok and the sport is popular amongst Thais and Bangkok’s expatriate community. Many of Bangkok’s tennis courts are outdoors which makes it pretty tough to play in the heat and humidity, but it does mean that the courts are usually free in the daytime, if you can brave the heat! 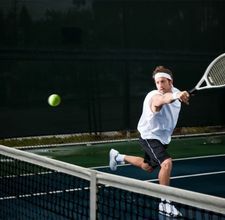 Tennis equipment is widely available in Bangkok’s sports shops and there are some tennis specific shops in Bangkok too, one being situated near the entrance to Sukhumvit soi 38, where there are also 2 tennis clubs. Here’s a list of 12 places to play tennis in Bangkok. I have included Google map links and the nearest BTS Skytrain station where I can. BASE next to Thonglor BTS on Sukhumvit soi 36 offers sports conditioning and has trained a number of amateur and professional athletes. You can check out their group class schedule and personal training package details. Located on Soi Saeng Chai off Sukhumvit soi 38, this Bangkok tennis club consists of 5 outdoor courts and 3 indoor, roofed courts. Prices are cheap and if you’re feeling lazy you can even hire a ball boy for 25 baht an hour! The courts are not in fantastic condition but very playable. Also a Bangkok tennis academy, Spin n Slice is based just across the road from Santisook in the Sunshine Court apartments. Run by German ex-tennis pro Timo, Spin n Slice has a great quality court that can be rented by the hour. The tennis court has floodlights but to play after dark is more expensive, at around 300 baht an hour. Behind National Stadium are many tennis courts that can be rented. 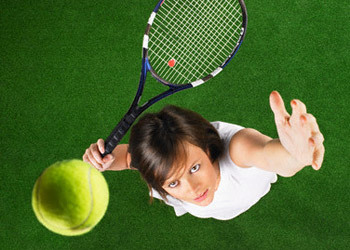 They have outdoor and indoor tennis courts that are cheap, as well as a range of other sporting facilities here. Just around the corner from Surasak BTS are 6 open air tennis courts. They often get busy during peak hours so it’s best to book ahead or play off-peak. A good option for Sathorn or Silom based expats. This tennis and racquet club is one of Bangkok’s most well-known sports venues. It has tennis, squash and badminton courts, as well as a well-equipped gym. Check the website link for more details. Well located on Ratchadamri road near the skytrain, this language centre has tennis courts that are great for meeting new players. The location of this venue makes it good for any Silom or Sukhumvit based expats that want a game of tennis. Ari Tennis Club is based at no.98 on Sukhumvit soi 26. It’s quite a Thai tennis club with more locals than expats. Courts are about 250 baht an hour and they have decent tennis players and coaches based here. Unfortunately their website does not have an English language option, but this tennis club has top quality PlaxiPave courts that are available to rent for 260 baht an hour in the evenings. Equipment can also be rented and it’s open until 10pm. This tennis club is quite far from the centre of Bangkok in Bangkok-Yai, but it may be useful for some suburban expats. Only 3 courts so book ahead. Prices are good at about 170 baht an hour. A great range of sporting facilities, this park has already been mentioned in our basketball post. These tennis courts in North Bangkok are just 35 baht an hour, so great value. No tennis equipment for hire so make sure you bring your own. Another option for Sukhumvit based tennis players, these courts are open until midnight. Based on Soi Samarnchunt off Sukhumvit Soi 4, they are floodlit and open until midnight. Any top hotel or university! Any top hotel in Bangkok will have tennis courts although this is an expensive option. Most Bangkok universities also have facilities, so if you find the above venues hard to get to try asking around. There are many options here for Bangkok’s tennis playing expats. Let me know if there are any good courts I’ve missed and have fun!